Album art for “Hustle Up Starlings,” out May 12. Accept death and defeat with a quiet dignity, the command seems to suggest. Steve Earle even used the phrase for the title of a live album that he released in 1991, at a time when the wheels seemed to be coming off on both his life and career. 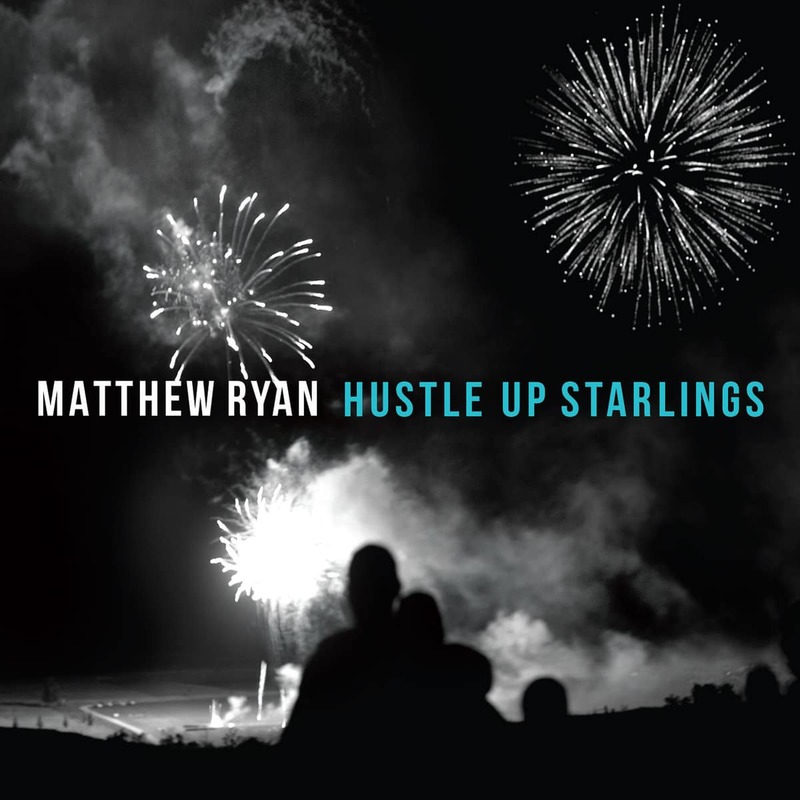 Matthew Ryan resurrects the metaphor for the opening track on his forthcoming release, Hustle Up Starlings (out May 12). “(I Just Died) Like An Aviator” opens a very strong album for Ryan. The record was produced by Brian Fallon of The Gaslight Anthem, and you can hear the sonic fingerprints of Gaslight on this and other tracks. A few years ago, Fallon and Ryan struck up a musical friendship and Ryan credits that with reaffirming his sense of purpose in rock and roll at a time when he had considered giving up music altogether. For the video (which originally premiered on Diffuser.fm), a coltish, all-girl band plays the parts of Ryan and co., rocking out in the confines of a dingy basement, and the result is oddly effective. The song takes on an added poignancy as a charismatic teenaged singer mouths lines like “I’m pouring a drink/ And smoking a smoke/ Our guts are born in that fiery trench/ Between hurt and hope” in the raspy, cigarette drawl of a middle-aged man. Despite its fatalistic title, this tune is really about perseverance and renewal after defeat, with the outro refrain exhorting, “don’t die, don’t disappear/ I swear to god we need you hear.” Watch the video below, and look for our review of Hustle Up Starlings next week.